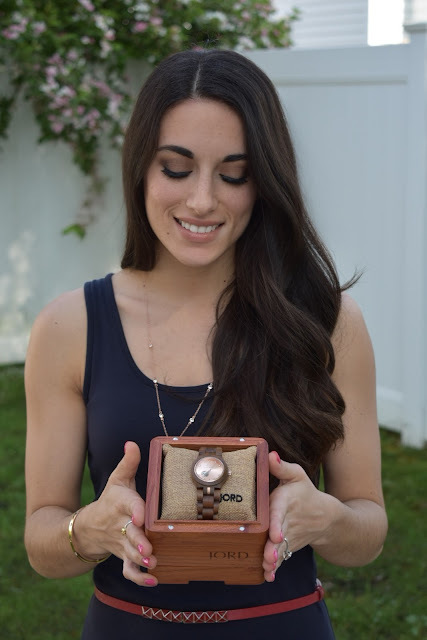 Nikki's Fashion 411: JORD Watches: A Unique and Beautiful gift! With Fathers Day around the corner everyone is looking for that perfect gift. Why settle for something generic when you can buy dad something unique that he will love and use frequently! 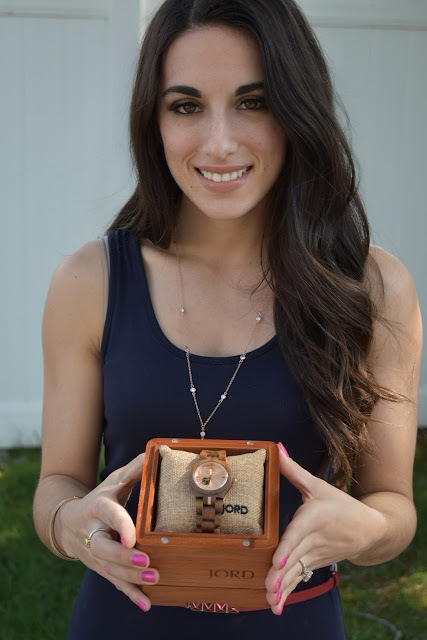 Say hello to JORD Watches! JORD offers a variety of Mens and Women's watches. There is a little something for everyone! The styles range from simple to a little more complex. They offer a variety of wooden finishes from light to dark as well as they even offer Apple watch bands! Another bonus is that you can have the watch and box engraved to mark a milestone or special event (great wedding or anniversary gift!). There is a template you can use to measure your wrist in order to have it sent to you sized which is helpful for someone like me who has a super tiny wrist! This watch is so girly and feminine! What I love most about this watch is that you can wear it with just about anything! It is definitely the most unique watch I own and I have received several compliments on it! As I discussed earlier, one of these watches would make a fantastic Fathers Day gift! If you're now pining after one of these watches, here is your chance to win 100$ towards the watch of your choice! Entering is so simple, all you need to do is click here and enter your name and email address! Thanks for reading and good luck if you are entering the giveaway! What a cool watch! I love all of your photos! So pretty!! Thank you so much! It is a great piece! I have a few Jord watches and they are such high quality! 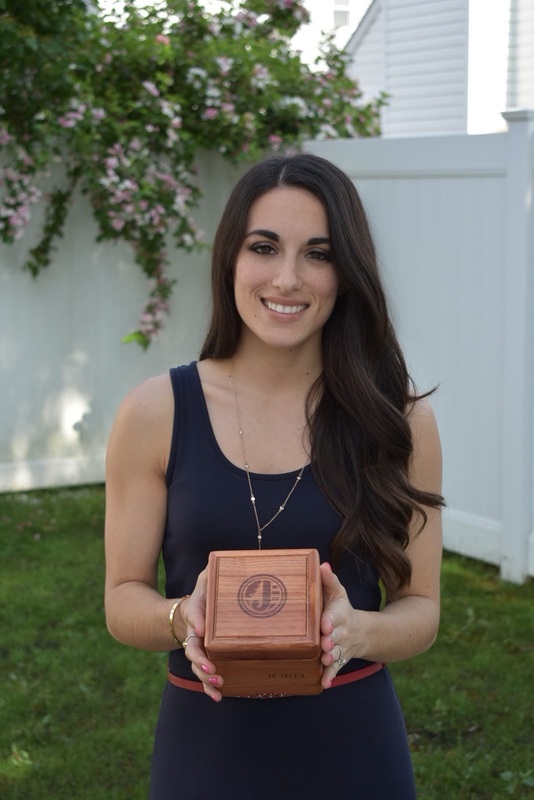 I totally agree, the wooden box they come packaged in is so cool too! Aren't they amazing! Thank you for stopping in!